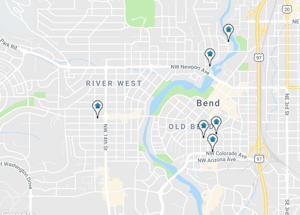 You can view all Home Listings and all Homes for Sale in Bend, Oregon right here. 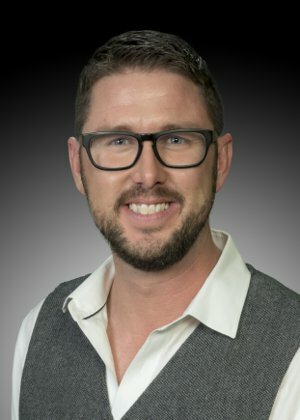 Bend has some of the most desirable real estate on the West coast, and Matt's years of experience will help you find the Bend Oregon Real Estate you are looking for! He has lived in Bend since 1981 and knows the real estate market well! Homes here have been increasing in value rapidly since 2010 and as your real estate broker Matt can help you find the perfect home and negotiate a good price! Call or text today Matt 541-480-2153! Matt grew up in Bend and knows all the best schools, neighborhoods, golf courses and fishing holes! Matt is licensed with RE/MAX Key Properties in Bend. RE/MAX sells more properties world wide than any other company. If you are thinking about buying a home call for an appointment and Matt will take you on a free tour of Bend and show you 3 homes that best fits your needs. There is no obligation! Bend Oregon is a great place to live! Tetherow golf club is quickly becoming one of the most popular golf course communities in Bend Oregon. It is fairly close to downtown and it's close to Mt. Bachelor and the high lakes in the Cascade mountains. If you are looking for a luxury home or a lot to build your dream home Tetherow may be the answer. It is a gated golf course community with large lot and spectacular views. Riverfront homes are rare in Bend, Oregon and bring a premium price when available. There are no lakes in Bend with private property on the water. There is only the Deschutes River which runs from South to North through the heart of Bend. Homes on the Deschutes River are a real rarity. Bend has several golf course communities with homes on and away from the course. Awbrey Glen, River's Edge, Mountain High, Widgi Creek, Broken Top, Lost Tracks and Tetherow are some of the main golfing communities in Bend. Bend's golfing community home prices start around $400,000 and go up to the multi million dollar range. All of these communities are beautiful places to live in the high desert. There is real value in golf course homes today. One of the most sought after features buyers are looking for in today's real estate market are views of the Cascade Mountains. Bend is blessed with beautiful scenery views of Mt. Bachelor, Broken Top and the Three Sisters is highly desirable. There nothing like waking up in the morning with fresh snow and the pink glow of the sunrise shining on the mountains. Matt was raised in Bend and knows all of the good neighborhoods, golf courses and fishing holes. If you are thinking of buying or selling a home in Bend Oregon call Matt today for a free, no obligation, appointment. On our web site you can search for all listings in Bend Oregon, Redmond Oregon, Sunriver Oregon, Sisters Oregon, Prineville Oregon and LaPine Oregon.